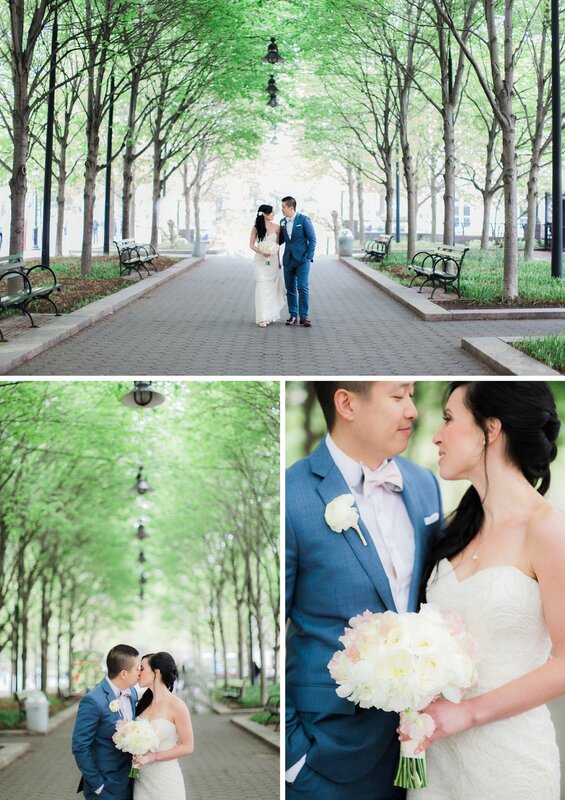 Kate and Jesse had a gorgeous May wedding at The India House in Lower Manhattan. Kate got ready at the Andaz Hotel nearby, and bridal portraits were taken at Battery Park. Special thanks to Kristy Timms for being an incredible second shooter. Congrats to Kate and Jesse on a beautiful day! The first look took place in the lobby of the India House where Kate got to walk down a magnificent staircase before sneaking up on Jesse. The Blue Bar inside of the India House was the perfect place to begin bridal portraits. The bridal party joined us for more photos at Battery Park, a quick 5 minute cab ride away. After the ceremony, we snuck in a couple more photos of the newly minted couple right outside The India House.